Prawn is my favorite seafood. Here they sell both cooked and uncooked prawns. I prefer uncooked one. Usually I deshelled , deveined the prawns and freeze it in ziplock bag for later use. That way I feel easy to use when I want to make. 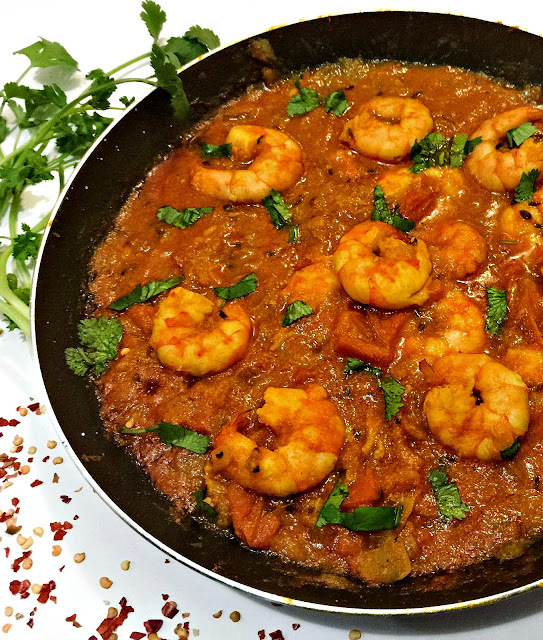 Today I am sharing my fav prawn dish. 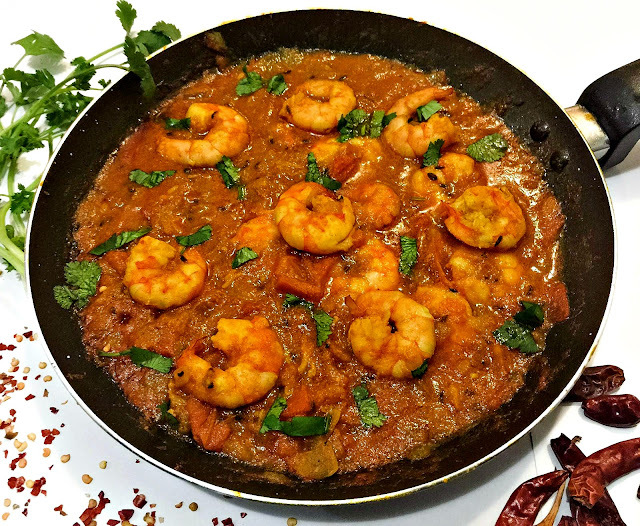 Prawn masala is a simple dish, which you can make it under 30 minutes. I make this recipe often. 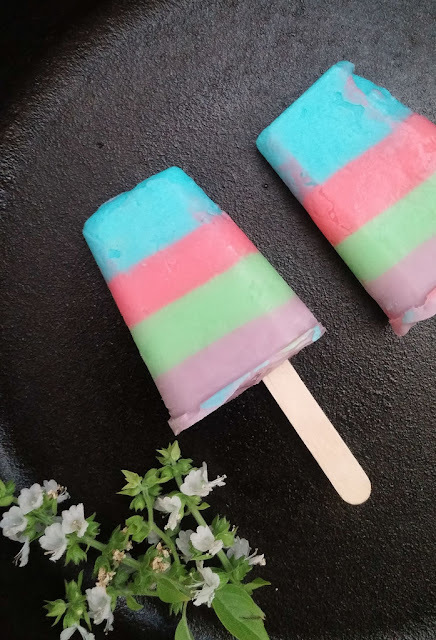 It tastes good and goes well with plain rice or roti. 1. Heat oil in pan on medium flame, add fennel seeds in it and saute for 10 sec. 3. Add onion and cook it turns to translucent. 5. Now add all the spice powders and salt. 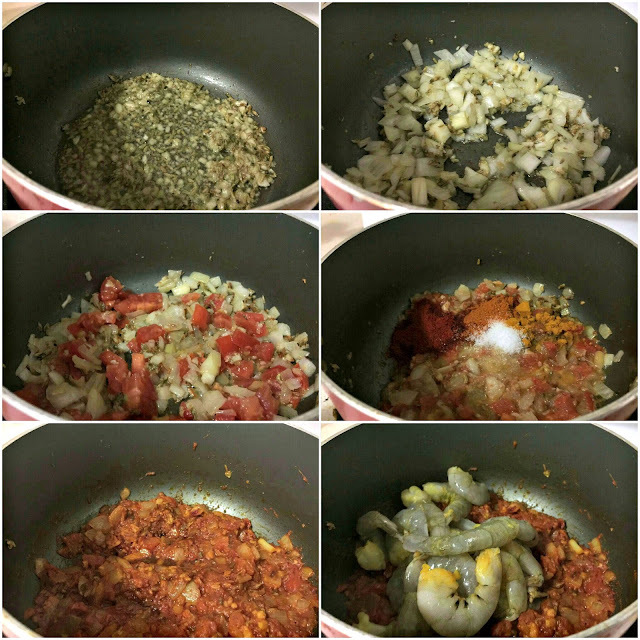 Mix well and close the lid and cook until oil separated from masala. 6. Add shrimp into it and mix until the spices coated well with it. 7. Add lime juice and water, give a stir and close the lid and simmer for 10 minutes. Then turn of the flame, garnish with cilantro and serve hot with white rice. Do not overcook the prawns, it will become rubbery then. Adjust water quantity, according to your preference of gravy consistency. You can also add a tsp of pepper powder, it will be more tasty.